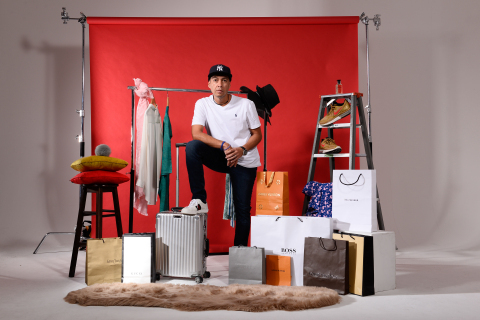 SINGAPORE--(BUSINESS WIRE)--Seasoned entrepreneur Bob Chua is back with his latest venture BlinQ, focussed on Asia’s booming luxury fashion e-commerce space. After two successful Big Data exits and an IPO on the London Stock Exchange, Chua aims to capture what he believes is a hugely untapped market. The personal luxury market is currently estimated to be $300bn and will grow to $500bn by 2020. Close to 44% deriving from Asia according to McKinsey’s global fashion report. Chua comments, “BlinQ uses AR and Algorithmic patterns to provide users with the latest trends and personalised fittings from their digital devices. It also allows users to choose how they would like to consume fashion, which may not necessarily be to buy, but to also rent, subscribe, or pay later for latest luxury designs from major and upcoming brands across SE Asia”. Chua added, “There is clear retail disruption happening everywhere, and e-commerce adoption in the luxury space is growing at a staggering rate here in Asia. We see a major opportunity especially with a full-stack platform of providing users with a virtual changing room feature, a marketplace and multiple modes of consuming fashion”. In a way we are fusing the successful models of ASOS, Farfetch, Rent-the-Runway and The Real Real into a single platform, while targeting affluent Asians. The multi-brand and multi-mode platform allows for a wider audience to be able to enjoy luxury...especially amongst millennials. From a B2B aspect, we plan to monetise our platform by white-labelling our virtual changing room AR (Augmented Reality) features to other e-commerce sites, which will ultimately reduce returns (currently estimated at 60% of all online purchases) and increase purchasing propensity (estimated to drive 30%-40% more sales due to trying before buying). BlinQ also envisions powering the back-end logistics and fulfilment of goods via fully automated warehousing to meet the throughput, SKUs and numerous brands it plans to carry in the foreseeable future. This will allow meeting the demands of speed, scope and scale of the region while optimising the customer experience. BlinQ has since secured significant seed funding, and is currently enroute to a next fundraising round to accelerate itself forward. BlinQ is a leading FashionTech enabler in the AR and E-commerce space, focussed on the SE Asian market. BlinQ technology allows users to virtually try on and purchase designer apparel and accessories from online luxury and contemporary fashion retailers globally. A rental subscription model also provides users the option of renting designer apparel and accessories. The back-end automated warehousing operation enables brands to fulfil their products throughout the Asia-Pacific region.